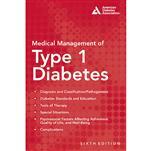 American Diabetes Association (ADA) Books at great prices. Intensive Diabetes Management through daily insulin injections or an insulin pump requires close collaboration and advanced knowledge of insulin therapy. 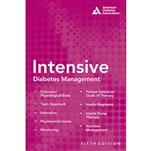 Intensive Diabetes Management is geared toward the healthcare practitioner who wants to utilize this therapy safely and efffectively. 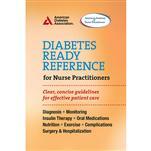 This books offers the information clinicians need to help each patient move toward treatment goals appropriate for their individual skills and medical conditions. For those striving to deliver intensive therapy this is the essential guide.184 pgs, 2012. 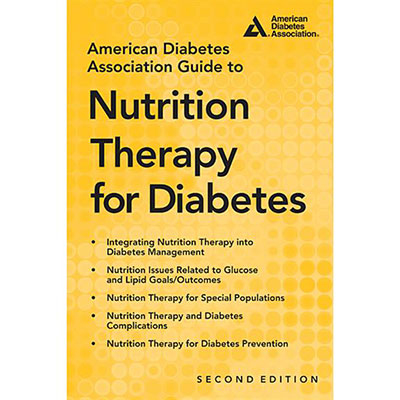 A first-line treatment regimen for diabetes management is nutrition therapy. For positive, cost-effective outcomes, few other treatments can compare. 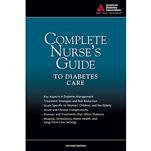 As an essential component of effective diabetes management, care providers need a complete, updated, concise guide for the development and implementation of MNT. Completely rewritten to incorporate the latest research and guidelines to make nutrition therapy effective. 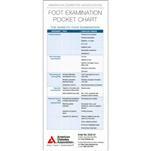 Provides a comprehensive evidence-based foundation for successful MNT interventions. 576 pgs. 2012. This landmark 2012 ADA text covers all of the issues that care providers should consider when a patient takes on the burdens of diabetes self-management and deals with living with a chronic disease. 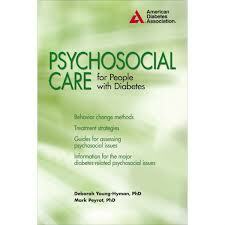 Sections cover behavioral health, self-management, implementation of treatment technology, and life course issues. Find out the details on key issues in diabetes management, such as special issues for children and adolescents, introducing insulin pump therapy, adherence to regimens, and identifying and dealing with depression, disordered eating, and cognitive dysfunction. 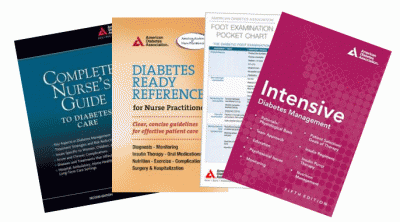 Buy all four of these clinical book gems together for additional savings. This book focuses on key areas, including important clinical trials and the latest ADA Standards of Care. The first section is on Diagnosis and Classification/Pathogenesis of diabetes, and discusses the latest molecular advances and strategies to influence the type 1 process. The Diabetes Standards and Education section elucidates treatment goals and the importance of key are in diabetes self-management education.